Pilots have a privileged take on the world from their ‘office’ windows and, with over 200 network destinations, British Airways’ pilots regularly experience spectacular views around the world, every time they fly and land. British Airways’ special fares sale offers residents in Bahrain a chance to experience some of these amazing sights from the air and on the ground. Running across all its cabins through to March 6, 2018 with travel valid until 12 December 2018, customers can now book return flights to London starting from as little as BHD 250. Residents flying onwards to Europe or North America can choose from the airline’s excellent onward connections with return fares starting from BHD 303 to New York. Home to British Airways, most flights landing into Heathrow arrive from the East, offering a great opportunity for unbeatable views of London. 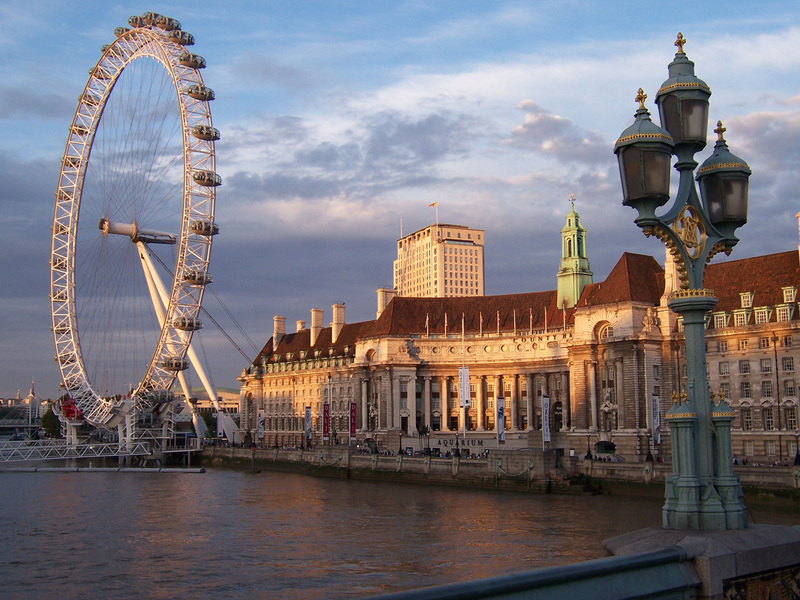 Highlights include famous landmarks such as Westminster, Big Ben, the London Eye, the Shard, countless football stadia, as well as the famous River Thames that winds through this cosmopolitan city. Book your return flights to London before 6 March for as little as BHD 250 with travel valid until 12 December 2018. On a clear day and depending where you’re flying in from, there are numerous different views of the Big Apple to take in. When flying in from London, your best bet to take in the views after your fly over the Atlantic is to sit on the left side of the plane as you approach the East Coast of the USA. Sunset views when you fly out of New York are often remarkable as a golden glow covers some of Manhattan’s famous skyline and structures. Book your return flights to New York (via London Heathrow) before 6 March for as little as BHD 303 with travel valid until 12 December 2018. The haze hugging the hills casts a beautiful red-orange glow on the city and, with the skyscrapers dotting the urban horizon, the view is stunning. In summer, the dry heat of the San Diego summer sun mixes with seaside squawks and sail sheets tapping against the masts of the yachts moored in the harbour to fill the senses. Flying over the Atlantic doesn’t mean looking out over a plain stretch of water, with flights between Europe and North America offering some of the most magnificent in-air sights of the planet. Taking in the Northern Lights on a night flight between San Francisco and London is definitely worth staying awake for, while the San Francisco landing brings the iconic Golden Gate Bridge and infamous Alcatraz island prison into view. Californian hotspots may rank high for scenic aerial views of the west coast but the northern parts of the North American coast also offer stunning approaches. Less than 200 miles apart, the Emerald City of Seattle and Vancouver in Canada were cited as two of the most impressive destinations to fly over and into, with the meandering Rockies mountain range, lakes, and pockets of tiny, verdant islands offering spectacular views from both sides of the cabin. For those heading to enjoy the Miami heat and miles of white sand beaches, British Airways’ pilots highlighted the approach into Miami for the stunning views over South Beach and Little Havana. For some of British Airways’ finest, Milan is voted as one of their favourite cities. The aircraft typically heads North West when departing Milan, presenting passengers and crew with stunning views of the Italian lakes sitting just below the towering Alps. For those keen to see the mountain tops featured in classic musical, play and film, The Sound of Music, flying into Austria never disappoints! British Airways’ flights to Salzburg provide a unique perspective on the beautiful scenery of the Alps, one of the most picturesque and famous mountain ranges in the world.